A wedding magazine covering three different regions of the UK. 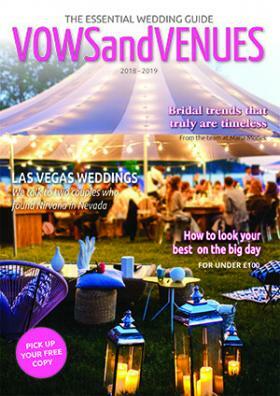 Prestigious bridal magazine, with 3 regional issues per year, covering Yorkshire and the North East, the Midlands, and the North West of England, with help to plan the perfect wedding, from getting engaged to the big day. Showcasing the best venues, independent businesses and wedding services each region has to offer the discerning bride and groom. Vows and Venues is an elegant and stylish ‘must read’ for any bride-to-be and wedding planner.